1 Why "Author", when we already have "Words"? Why "Author", when we already have "Words"? Words is a multi-purpose writing tool, but authors tell us that writing a novel or textbooks needs some specialised tools. Calligra Author is designed to meet those specialised needs. Calligra Author is the one-stop tool for creating ebooks. It supports the user in all the phases of writing: planning, writing, review and publishing. 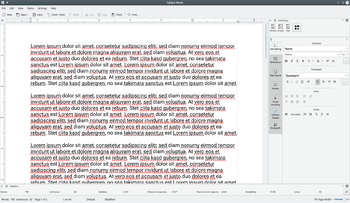 Calligra Author is especially aimed at novelists and textbook writers. The planned outliner is in early stages, not yet ready for release. A big feature, so it may take a little time to complete. It is hoped that it will be completed for version 2.9 (2.10 at the latest). Word-count in the status bar - check vital statistics without the need to open a docker. Distraction free mode - everything unnecessary is removed - a clean screen helps concentration. 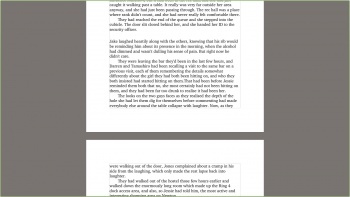 Annotations (Notes) - you can select passages and add annotations. Editors and reviewers can add comments to the annotations. Export to DOCX format is available. 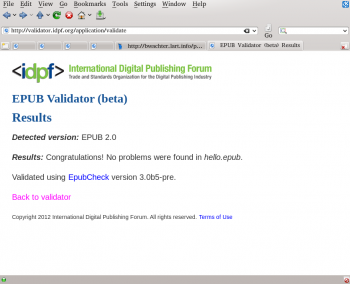 Export concentrates on EPUB2, the standard used in many publishing houses, and MOBI, the format used for Amazon Kindle devices. Import of styles from an existing document. Most of the functionality of Author is, or soon will be, available within Words, although less prominently.